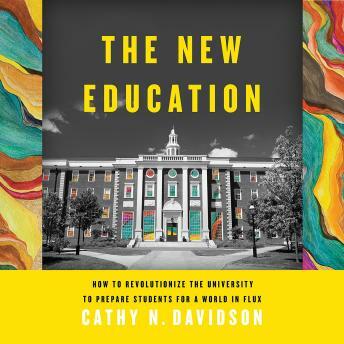 Our current system of higher education dates to the period from 1865 to 1925, when the nation's new universities created grades and departments, majors and minors in an attempt to prepare young people for a world transformed by the telegraph and the Model T.
As Cathy Davidson argues in The New Education, this approach to education is wholly unsuited to the era of the gig economy. From the Ivy League to community colleges, she introduces us to innovators who are remaking college for our own time, by emphasizing student-centered learning that values creativity in the face of change above all. The New Education ultimately shows how we can teach students not only to survive but to thrive amid the challenges to come.